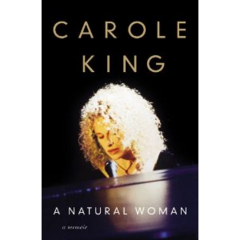 Carole King's iconic career as a singer, songwriter, and pianist extraordinaire is celebrated with a two-hour special, Natural Woman, The Carole King Radio Special. The first hour looks at Carole King's early career when she wrote great hits for other artists - from her first songwriting hit in 1961 at aged 18 Will You Still Love Me Tomorrow to her huge hit for the Monkees Pleasant Valley Sunday. Included are such classic songs as Up on the Roof (The Drifters), Take Good Care of My Baby (Bobby Vee), One Fine Day (The Chiffons), I'm Into Something Good (Herman's Hermits), and many, many others. The second hour looks at her enormous career as a solo artist, from her Tapestry album that sold 25M copies worldwide through her sold-out tour in 2010 with longtime friend James Taylor. Join Different Radio this weekend to celebrate the artistry of Carole King, Sunday Morning at 1o AM. Be sure to check the VuHaus link each day for great live performances. On Monday, a very special performance with Bonnie Raitt and Amos Lee you won't want to miss.